Well this week was not so rainy but the gloomy weather is just right to keep things a bit cool. Apart from the lack of rain (though I’m not sure why I still used that title…oh well haha) this week was pretty big in terms of book releases. Of course many of you might have heard about the well hyped release of Harper Lee’s Go Set A Watchman which is the sequel to To Kill A Mockingbird. I was pretty excited when I first learned about the publishing of this book, I even pre-ordered it, in not one but two different book stores. But then after the reviews came out, I pretty much had second thoughts about buying it immediately. One thing is for sure though, I will still read GSAW but not in the immediate future. On to another important release, I guess in my book it’s a pretty really important release (haha). 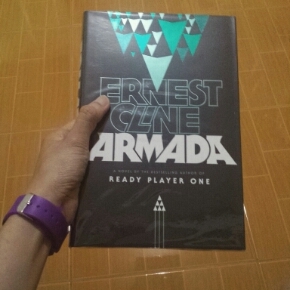 It’s the much awaited new novel from the best-selling author of Ready Player One, Ernest Cline’s Armada. I’m really giddy about this cause I wasn’t expecting it to be available here in the Philippines for about another week or two. So imagine my excitement when I got the message that my reserved copy has arrived. Looking forward to immersing myself into this new story and I can’t wait to gush blog about it soon! 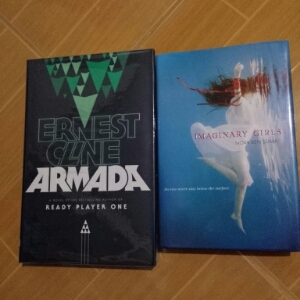 Apart from Armada, I was lucky enough to score a hardcover copy of Nova Ren Suma’s debut YA novel Imaginary Girls on the sale rack at Fully Booked. I’ll definitely set aside time for this, after I’m finished with my entire sci-fi and fantasy books roster. I hope you guys also enjoyed the new releases this week. Let me know which books are you excited to read the most.